Can a referral program really take a new brand and develop more than 200,000 subscribers in a few short months? Quite simply – yes it can. As an early adopter of The Hustle, I have seen first-hand how it went from startup into respected media publication in just a couple of years. Built a list to 70,000 subs from launch in 4 months. Today they have more than 2,000,000 subscribers and growing. Seven-figure revenues (that’s right, 7 figures!!) within a couple years. How did they do this? Aside from the wicked brand and product, the ambassador program certainly helped. In this article, we are going to dissect what they did right and how you can copy their activities play by play. 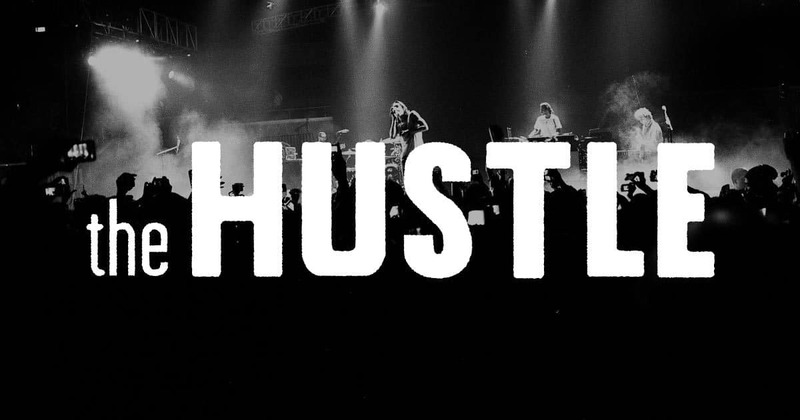 The Hustle is a media publication whose main media outlet is their mailing list. Everything they do is driven towards capturing an email address, in fact, you can’t even view content without giving your email. A bold move for any company. Their aim was to be your trusted news pal targeted at tech-hungry Millenials who don’t have time to sit down and read a spreadsheet newspaper. I compare it to a cross between The Wire & Tech Crunch. The writing style is super conversational, slightly cocky and quick to skim read. It was hard not to love from the start. The referral program was, and still is, one of the main drivers of The Hustle’s success. Founders Sam Parr and John Havel aren’t shy about telling people about it either. It was quite simply the special juice in their tank. Let’s get into what made their campaign a success! Most companies simply ask for referrals and hope their audience helps them out. Begging isn’t an option with The Hustle’s program. They created incentives, tracked results and created a viral mechanism based on the fundamentals of a Maître Viral Lead Magnet. Maître is a suite referral tools for marketers, which allows you to easily create viral campaigns similar to the one The Hustle and others have run. Getting your customers to do the marketing for you is what we believe the most effective form of marketing. The Hustle’s ambassador programme is a classic viral lead magnet. How does it work? Fans sign up and they are able to unlock various bonuses depending on how many friends they persuade to sign up. The more people they refer, the bigger the bonus they unlock. Firstly – Give people a reason to sign up. What are they signing up for? A prize, some great content, joining a club. The Hustle use a lot of humour, cockiness, and exclusivity to entice you to sign up. Your incentive could be your product, it could be a prize bundle, just make sure the copy is clear and people instantly know what you are about. 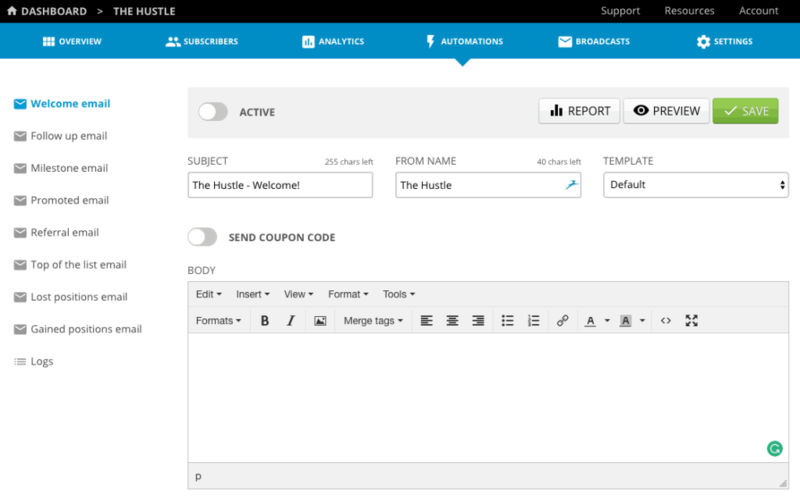 The Hustle starts with a simple opt-in form with some amazingly cool emails that follow. Immediately you feel like you’re part of an exclusive club. Within the Maître dashboard, you can create a sequence of emails, we’ve called them ‘Automation emails’. Sign-ups receive automated emails based on actions such as first sign-up, first referral or you can even create custom emails. The Hustle clearly values their virality. The ambassador’s page link is on every email and easily accessible from the homepage. When building your Maître referral campaign, position it where it is likely to pick up organic traffic from the rest of your site. Being able to tempt your traffic into referring contacts is going to be the real killer element of your referral campaign. The Hustle will most likely have an advantage over your campaign as they have generated a lot of brand love over time and this is difficult if you are just starting out. If you are stuggling to come up with the prizes, we actually created a list of successful prizes that have run campaigns with us previosuly. Anything else your creative little mind can think of. Getting this right will be the difference between success and failure. Remember, we are essentially gaming a viral loop, and the way we do this is by incentivizing a referral. They used what we call a Viral Lead Magnet, where a user unlocks various prizes depending on the number of referral milestones they reach. It’s a decent page, copy is concise and it’s obvious what I need to do next. You select the number of referrals they need achieve to hit the next bonus. As each bonus is met they receive an email. This is your opportunity to further encourage referrals and remind people of how they are able to do so! This is where you send the fans go out to do all the work for you. Share and spread the word. With Maître we track every referral across multiple channels, wherever they share. 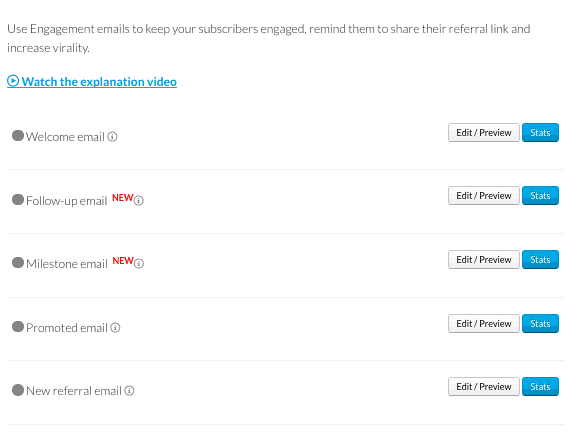 When setting up the campaign make sure to include all of the major sharing channels: email, Messenger etc. We actually created a meta-analysis on 3.6 Million emails to see which was the best. From our analysis, Messenger & Whatsapp were highest converting but the largest number of referrals were via Facebook posts and Tweets, so whatever you do enable these. We do also have a host of other Chinese social media platforms like WeChat. We created automated emails that are triggered when users perform certain actions like successfully refer someone or they achieve prize, be sure to set these up, they will increase engagement with your contest and ultimately lead to more referrals. Don’t forget manual engagement as well. If you search for your competiton on Twitter I am sure you will find users sharing your competition or product. Be sure to @reply them and make a noise on their behalf. They will love it and it is a great way to foster loyalty. Seems obvious right. This campaign wouldn’t have worked if they had no way of tracking the referrals. Which is also why tracking is at the core of why we built Maître. Each sign up is given a unique code; this code is used to track across multiple mediums like Facebook, Reddit, Email, wherever really. Maître will track everything and let you see exactly how fast your campaign explodes. Edit the campaign or hold special event campaigns with quick contests enticing your team with the best possible incentives. 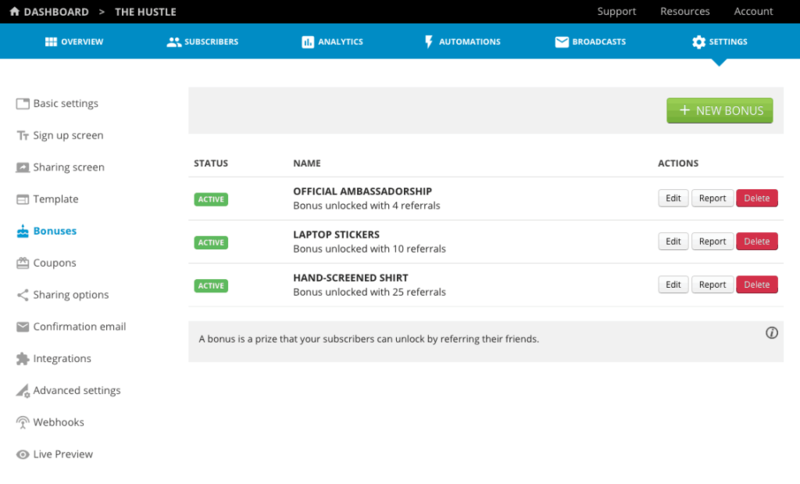 Ready to launch your referral campaign? Maître is here to help you every step of the way! What is a Viral Waiting List?